Martha's Vineyard real estate sales agents number over 280; it seems as if every other person you meet has a real estate license. I am aware that the word "Sales" may have a negative connotation for most people; it conjures up images of disingenuous pushy characters who will say anything to get you to buy. I do not know about you, but I love to buy! However, I don't like being sold. Therefore, sales should be considered SERVICE, and good service is something we all appreciate, but how often is it that we get good service these days? To me it is very simple -- see what is wanted and needed and produce it. I believe that my function as a real estate professional is to provide excellent service. I love what I do. I listen and I am very patient -- I don't push. I believe my mission is to find the best property, with the best terms that best suits my Buyer Client's needs no matter how long it takes. My main concern is that when they make a decision it is the right decision for them and a decision they will not regret. I don't like surprises and I know my Buyer Clients don't either that is why I do all the research for them, checking pertinent information with the various town regulating offices. I have always felt that the Buyer does not receive the kind of service they deserve. Before the change in the Law of Agency made the distinction between Seller's Agent and Buyer's Agent more clearly defined, the Buyer suffered. In the past, everyone worked under a specified listing contract for the Seller and the operative caveat to the consumer was "Buyer Beware". Any information a Buyer would divulge to the Seller's Sub-Agent they were working with that could benefit the Seller could (and would) be used to maximum advantage for the Seller. Let me ask you a question. How do you begin your search for that perfect property you’re dreaming of? • Do you rely on Zillow and Trulia, Realtor.com or other marketing websites for what you hope are the facts? • Do you thumb through the Real Estate Guide looking at the pretty pictures and reading the flowery property descriptions? • Do you scour all the tiny ads in the classified real estate section of the newspaper? • Do you surf the Internet going from one local broker’s website to another looking to see what properties they’re marketing and admiring all those touched up photos? --- Of course you do. But did you know, when you call on any of those ads, the listing broker represents the SELLER, not you. They can offer you what is called Disclosed Dual Agency -- and if you do not know what that is, don't read any further until you understand it; it is nothing more than a bait-and-switch device cleverly created in order to keep seller agents in the game. What you want is 100% Buyer advocacy (Definition of Advocacy: active support; especially the act of pleading or arguing for something). It is my opinion that Dual Agency introduces the obvious possibility for conflict of interest. True Exclusive Buyer Agents are 'Single Agents' and when you work with a Exclusive Buyer’s Agent, you’re the Boss. So, why go through all that hit-or-miss running around when you can engage a real estate professional who knows the Martha’s Vineyard real estate market and the hundreds of properties for sale here, better than you ever will. As an Exclusive Buyer’s Agent I can find that perfect home you’re looking for, and I will scour the entire market to find it. An Exclusive Buyer’s Agent will assist you without reservation or conflict of interest throughout the entire purchasing process, from researching the 'real facts' to negotiating the best price and terms. An Exclusive Buyer Agency fiduciary relationship must be established by way of an Exclusive Right To Represent Agreement just as a Seller's agency relationship is based on an Exclusive Right To Sell Agreement. The reason why I made the commitment to work as a True Exclusive Buyer’s Agent is that I do not believe real estate agents can do a good and responsible job of representing the buyer unless committed 100% to that focus -- 100% of the time. As an Exclusive Buyer’s Agent for real estate on Martha's Vineyard, I am able to give you the attention you deserve without reservation or any confusion as to my loyalty. I am not conflicted in any way. I am paid for my service to you out of the proceeds of the transaction. I keep my overhead low so I can keep my focus on negotiating the lowest price for my Buyer Clients. My reward for doing a good job is that my clients do not hesitate to recommend me to their friends and others who want the Martha's Vineyard experience. This is how I grow my business. I was born and raised in northern Westchester County, just 35 miles north of New York City. My mother was a teacher; she taught music, French and English. My father was an Art Director for House & Garden magazine. In college I majored in advertising art and design. I spent four years in the military with the United States Air Force and I am a Viet Nam Veteran. I was stationed in DaNang, South Viet Nam from 1969 to 1970. After my discharge from the military, I worked for a number of years as a textile print designer and then transitioned into a career in women's ready-to-wear, based in New York City. I was responsible for merchandising, marketing, sales management and startups for leading manufacturers in the women's fashion industry. My first introduction to Martha's Vineyard Island came in 1967 when my family purchased a sizeable property on the North Shore and became seasonal residents. I immediately realized what a very special place this is. During my career in New York I worked long hours and traveled quite a bit. Martha's Vineyard had made such a deep imprint in my mind and my soul that I spent every minute of my limited vacation time on Martha's Vineyard and always left the Island with an ache in my heart, because the time was never enough. Like many people during the "me generation" 80's who were my age, I finally decided there was more to the riches of life than a 60 to 70 hour work week could provide, so I decided to follow my heart. My life took a 180-degree turn in 1988 when serendipity showed me the way to make a dream come true. I became a year round resident on this magical Island of Martha's Vineyard, and I have never looked back. I live in West Tisbury, in a beautiful location close to the water -- although every location is close to the water on this Island. I met my wife here and we celebrated our 22nd wedding anniversary in 2018. We have four grown boys. One of our sons lives on the Vineyard and has found a good career in IT as well as being a lieutenant and well respected member of the West Tisbury volunteer fire department. He bought his first home in 2015 in West Tisbury. Two of our sons live in Las Vegas; one is the Executive Chef at The Cosmopolitan of Las Vegas, and our oldest son is a personal fitness and nutrition consultant who is studying to become a physical therapist. Another one of our sons was working in Tampa, Florida and was the web design director for the Tampa Bay Buccaneers. He left that job in 2015, moved to NYC to be the Senior Art Director for TFG (The Food Group). He fell in love with a woman from Philipinnes and now lives in Manilla where he has a successful graphic/web design business with clients abroad as well as in the USA. I am out in the market every week previewing and photographing properties for my buyer clients. I also read alot and much of what I read becomes part of my weekly e-newsletter editorial commentary. Outside of work I try to spend as much time as I can with my wonderful wife and my few good friends. I love 'land' and I find gardening and tending to the woodland and meadows on my property therapeutiic and relaxing. I occsionally get to go fishing, although I have to admit when I am on Chappy or one of our many magical beaches, I get lost in the wonderment of this incredible Island and forget that I am supposed to be fishing. My wife works for a prestigious Island law firm as a paralegal, and is a song writer. It seems like everyone here does more than one thing. Her passions are music, photography, hiking, dance, our boys and me. We have two young grandsons. 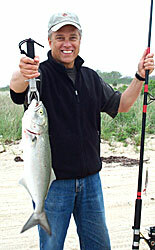 My full time career has been in real estate on Martha's Vineyard and I have been a proud REALTOR® member since 1989. I earned my Broker's license in 1991 and completed the three modules required to receive the esteemed GRI Designation that same year. I also worked as a CREA (Certified Real Estate Appraiser) for a number of years. I believe that Knowledge is Power. This applies not only to educating my clients, it applies to me too. I am proud of the nine Designations and Certifications I hold, earned solely through extensive educational classroom hours, and years of full-time real estate experience. 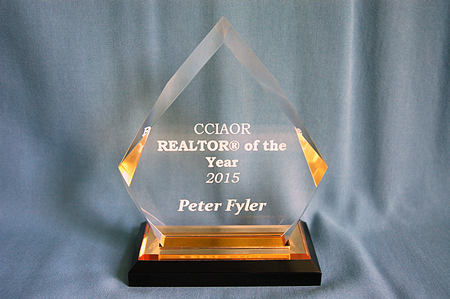 I am also humbled by the honor bestowed upon me as 2015 REALTOR® OF THE YEAR for CC&IAOR. That was a total surprise. Martha's Vineyard Island is not for everyone. If you have never been here, you need to visit and see for yourself the varied life styles that are available within the six distinctively different towns on Martha's Vineyard Island. If you have been here and if every time you leave the Island you experience an ache in your heart let me show you how to make that ache go away and your dream come true. This is a true story. I bought my first home in the 70's. I was young, newly married with a new family and starting to build my career. Even back then, buying a home was a huge decision, and we were very nervous about spending what to us was a fortune. However, our advisors told us to make the investment. We were able to put a considerable amount of money down so that our monthly loan payment would be manageable. House hunting became somewhat of a full time job for my wife and our baby -- I had an office job. We looked at night, we looked on weekends and my wife looked in between. All tolled I think my wife looked at 60 to 75 homes, "our" real estate agent ran us ragged. We told her exactly what we were looking for, but she kept showing us everything. Clearly, she did not 'listen'. I never thought the day would come, but finally my wife called me and said she had found our dream home. I will never forget when I first went to look at our "dream home", accompanied by "our" real estate agent, who was also the listing agent (that should have sent up a red flag). It was a picture perfect autumn afternoon, clear and sunny and the tree leaves were a blaze of color. The 2400sf multi-level contemporary 3-bedroom house sat dramatically up on a rock ledge and looked down through the woods onto a lake. It was a beautiful 3-acre lot of majestic oak trees and huge rock outcroppings. The sun was streaming in through the plate glass window wall and the owner was baking brownies in the kitchen, so the house smelled delicious. The house looked beautiful and I loved the land (location, location, location). When we first started our property search, I made it clear to "our" broker that I could not live in a house where there had been animals, because I had allergies. The broker assured me that there had been no pets in this house -- did I see any? Did I look? Should I have looked? After a brief discussion for guidance with "our" agent, we made an offer. To our surprise it was accepted. We listened to our agent but I always wondered if our offer was too high. Remember, she was the listing agent too. It was time to do our due diligence. I wanted a Structural Home Inspection. My wife's uncle was an engineer and volunteered to inspect the house for free saying he knew what to look for. He spent 45 minutes looking at it and said everything was fine. I am jumping ahead to a few days after the closing. We packed up all of our belongings into a rented U-haul and drove to our new dream home. I finally started taking a really good look at the house and what is my second most favorite "man area" next to the garage -- the basement. I went in and closed the basement door, something I had not done from the inside of the basement. There, on the back of the door, were huge scratch marks that must have been made by a large animal. Kujo? I continued to look around and in a small dark corner under the stairs; I found an area that had obviously been used for a long time as a kitty litter box -- without the box. It was disgusting. I found out subsequently from a neighbor that the former owners did have pets, a Great Dane and cats. I also found out that the couple was getting a divorce, so that may explain why when we were looking at the house there were no pets -- and no husband. Someone had custody of them -- I mean the pets. Needless to say, I was plagued by allergies all that winter, especially when I went into my second most favorite "man area". Now let's fast forward to late winter when the snow is on the ground and the ice is starting to melt. I was down in the basement one day and noticed some wet spots. Those wet spots got wetter as the winter thaw progressed and finally there was a stream running through my basement. It was a mess and cost thousands of dollars to mitigate with an elaborate foundation drainage system and foundation sealing. I realize that we cannot be protected from every single defect in a house, but if I had contracted with a licensed structural inspector instead of my wife's uncle, I would surely have been made aware of pre-existing problems like moisture in the basement, etc. Remember my other favorite location -- the garage; well, the pipes froze that winter. My inspector would also have found the plumbing defects and related structural deficiencies. If I had hired an Exclusive Buyer Agent, instead of thinking the listing agent would take care of us (she took care of us all right), I would have had a better chance at learning more details. I also think we would have paid less for the house. However, back then there was no such thing as an Exclusive Buyer Agent. This is one reason why I am so passionate about what I do, and I promise you I will do my utmost to ensure that you are informed and knowledgeable about the property you spend your hard earned money on.